For you to know how to make soup, you must understand a little about the history of soup and something about the different types of these dishes. We often think of a steaming hot soup as the perfect food on a cold winter day; it certainly does tend to warm us up. 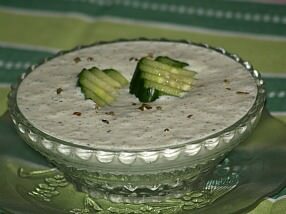 Equally important is that a creamy cold soup on a hot summer day can work as a chiller. 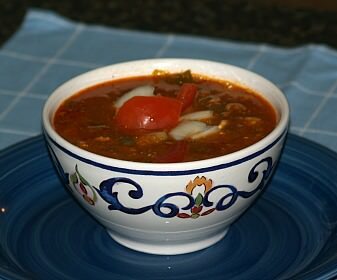 It is one of the most versatile dishes for a cook; whatever the occasion, there is a soup to fit the need. 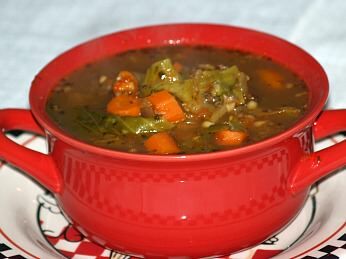 These recipes can be chowders, gumbos, or even simple broths; I include in my hearty soup recipes ones like bean and chili, although many people classify chili as a category by itself. It is a cosmopolitan dish with a very long history. The history of soup reveals that many centuries ago peasants were living on one dish meals of meat and vegetables cooked together. Although this was the main course for the day, often meat was not available to add to the pot. Many vegetable soups were made without meat for seasoning and made strictly with whatever vegetables were left in the fields; it might be cabbage, pumpkin, broccoli,carrots,mushrooms, tomatoes, different squash or sometimes it might be a combination of vegetables. Gypsy cooks threw into the soup pot whatever the countryside had to offer. Resourceful wives, who knew how to make soup, of the fishermen made seafood chowders from the spare catch; also adding any other ingredients available for their home consumption. 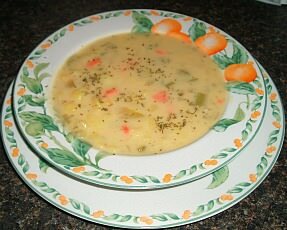 Thick Chowders have always been popular among the fishing communities but grew to include all kinds of seafood and other ingredients like chicken, corn and other vegetables. 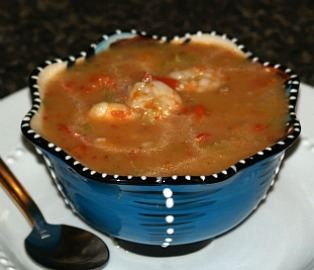 The best Gumbo are from New Orleans containing a wide range of ingredients and great spices. It is a great soup to when you learn how to make soup. Hearty Soup Recipes are popular in the winter in cold weather climates; beef vegetable, chowder or hot chicken noodle soup warms you up. When you learn how to make soup chicken noodle is typically one of your first soup. 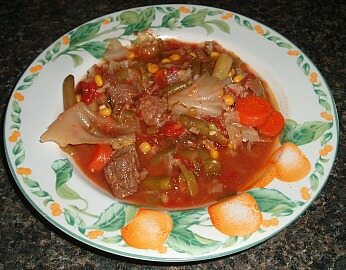 Whatever type of soup you prefer there is a Cabbage Soup; this vegetable goes well with any kind of soup. 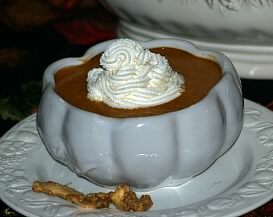 There are many types of pumpkin use to make Pumpkin Soup. Discover which recipe and pupkin is your favorite! 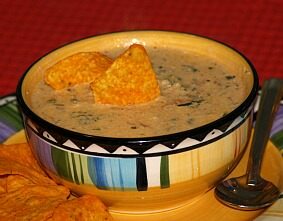 Who doesn’t love Broccoli Soup with that thick creamy cheese? Even ones with chicken and rice is delicious. 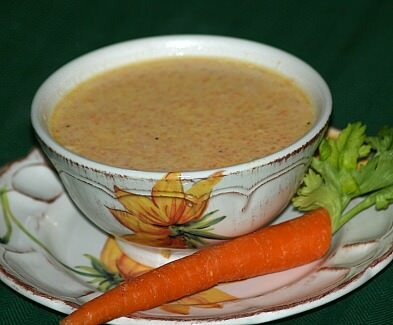 Try a creamy Carrot Soup Recipe or one of the other great soup recipes. 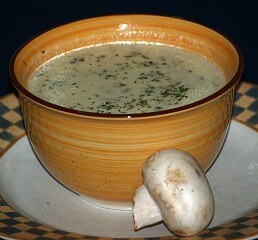 One of my favorite soups is cream of Mushroom Soup; actually any kind with mushrooms. Tomato Soup is one of the favorites of Americans especially creamed; also try gazpacho, tortilla and other soups with tomatoes. 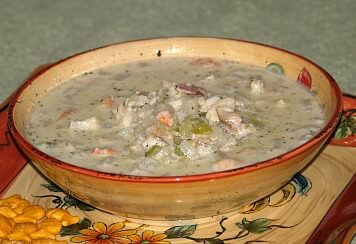 Make some of the delicious Seafood Chowder with salmon, conch, clam, scallop or with oysters. 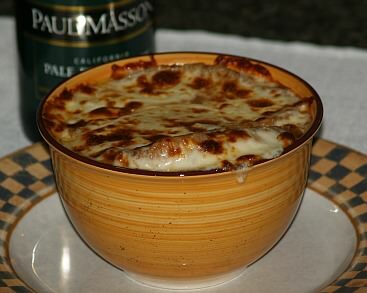 French Onion Soup is one of my favorites topped with melted cheese. 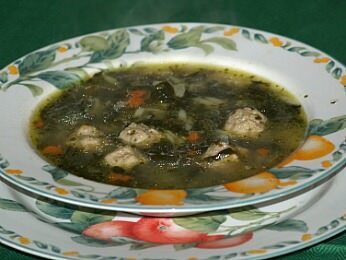 Italian Wedding Soup is the favorite of the Italian recipes and is served in almost all the restaurants here in the United States. 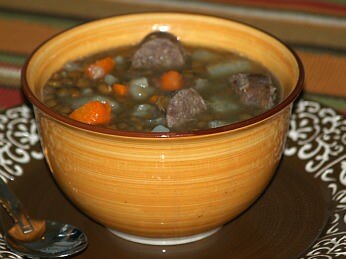 Lentil Soup Recipe; another economical pot of soup to make; season with various meats and add vegetables if desired. 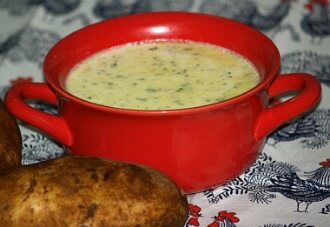 Cheese Soup Recipe; try a Canadian cheese soup, one with potatoes, one with beer and more. 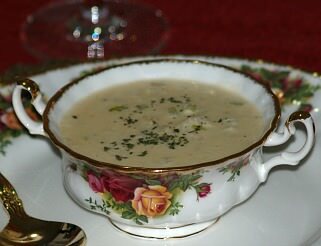 Have a hearty Potato Soup Recipe with creams and cheeses. Cold soups like a vichyssoise recipe. 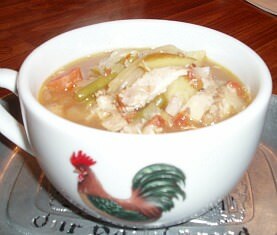 Chicken Soup can be with vegetables, noodles or rice, served as a clear broth or creamed. 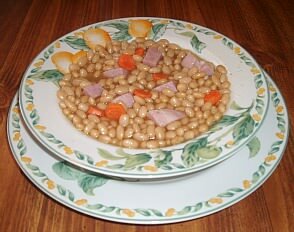 A Bean Soup Recipe use to be the tradition Monday (laundry day) recipe; economical but still a very delicious hot soup. 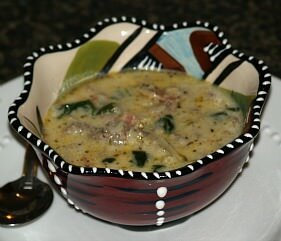 How to Make Potato Soup like you would find in the mountain region of Ecuador or others from the United States. 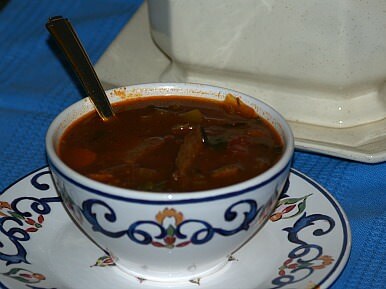 Vegetable Soup can be made with any type of meat or seafood as a seasoning or simply made with vegetables. One the first to make when learning how to make soup. 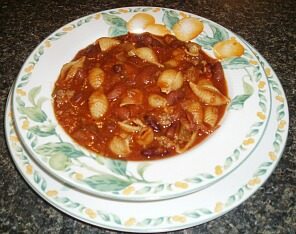 Pasta Fagioli Recipe; this beans and pasta soup is hearty and a great selection from the Italian cuisine. You may not like the sound of Sauerkraut Soup but it is very good, especially with dumplings. 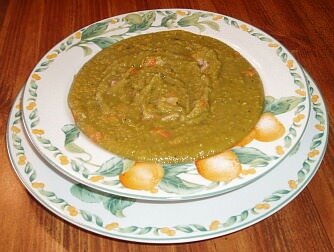 Split Soup Pea Recipe is another of my favorites; unlike the dried beans dried split peas cook quickly producing a delicious hearty soup for cold days. Soup recipes like cheese, easy potato, asparagus and more. 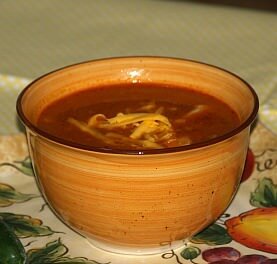 Learn how make to tomato Soup it is probably the most popular of all soups; homemade is the best. 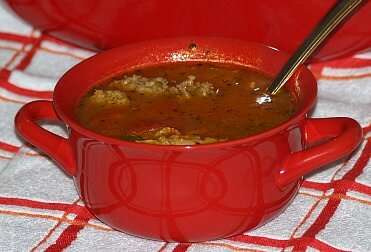 Make your own homemade beef broth to add rich flavor to your tomato soup recipe. Learn how to make soup starting with a delicious Lobster Bisque . All the different types of squash can be used to make Squash Soup; butternut, zucchini, pumpkin. They can also be used interchangeably. 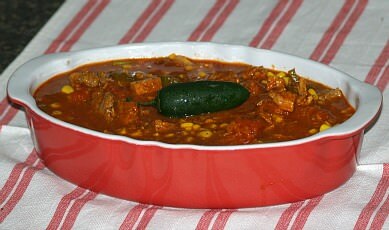 Where did Chili Recipes originate? It has been amazing that this one little section of the food cuisine has become, and continues to grow, so popular all over the world. It seems everyone wants to learn how to make chili. 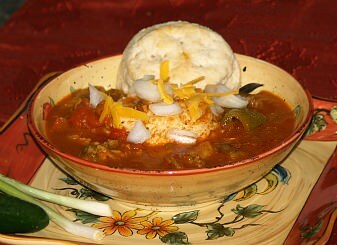 Beef Chili Recipes are probably the most common of the recipes; the beef might be ground or in chunks. 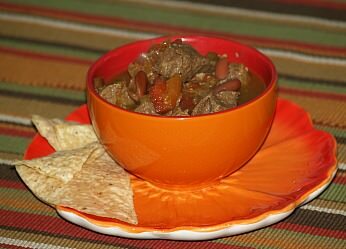 Con Carne Recipe means chili made with meat in Spanish; it is just as popular in the Spanish cuisine as it is here. As the interest in Vegetarian Recipes has grown over the years more chili recipes have been developed; some so good that you do not miss the meat. 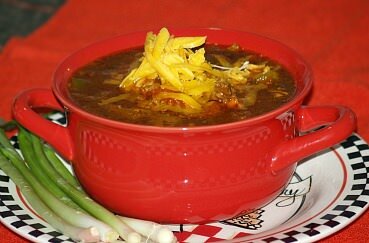 Many people wanting to eliminate some of the red meat have developed their own delicious Chicken Chili Recipe. 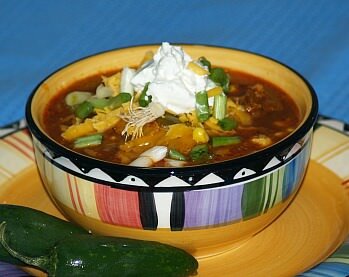 Recipes for easy chili can be made as simply as opening cans of ingredients and spices; if you like meat can be browned and added. 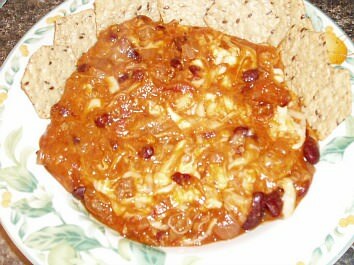 Chili Con Queso or “chili with cheese” is a great combination; cheese melting on a hot cup of chili and served with crackers makes a delicious filling meal. 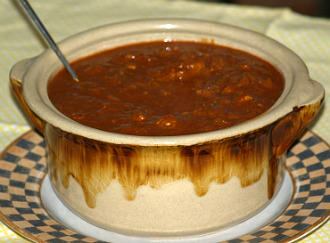 Each and every cook has their own favorite Chili Recipe; hundreds of different ingredients can be added to chili and many different techniques used to make it. 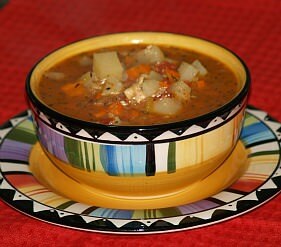 Today a pot of soup still depends on what is available and how you are planning to serve it. Soups are a great way to use up many of your leftovers. When you have any vegetable leftovers, potatoes, rice or meat, throw them in a bag or container in the freezer. Make a large pot of soup and add all the leftovers; this variety adds great flavor. Vary your soup ingredients with the seasons to take advantage of seasonal produce. Use your imagination and try substituting ingredients in the soup pot this is easier the more you learn how to make soup. If you know how to make soup it is easy to multiply ingredients to feed a crowd like this cheeseburger recipe. Cook ground beef and onions in a large pot: if needed add a little cooking oil to pot. Add carrots, celery, basil, parsley, butter, chicken broth and diced potatoes. Bring to a boil and cook until vegetables are tender. Gradually stir milk into flour until smooth; stir flour mixture into vegetable mixture in pot. Heat while stirring until blended and hot. Stir in cheese and sour cream; heat but do not boil. If you know how to make soup, you will know that most soup recipes begin with some type of broth; maybe poultry, fish, meat or vegetables. Today many cooks start with commercial brands of soup broth but it is very simple to make it at home. Commercial brands of broth often have way too much salt in them so this is something you need to keep in mind if using them. 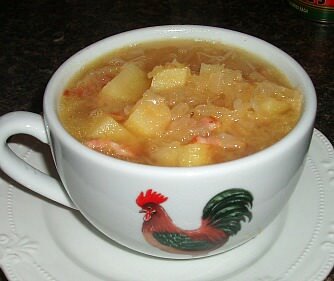 Many recipes of the following groups are made up of basically broth and are light enough to go with a main meal; sauerkraut soup, French onion, Chicken soup and Italian wedding soup. Place leeks in pot and cover with water; add 1 teaspoon salt and cook until tender. Drain leeks and reserve 2 cups of the hot water; set leek aside. Melt butter in pot and stir in flour and milk; cook over medium while stirring until thickened. Add the bouillon cube, the reserved water and bring to a boil; add the drained leeks. 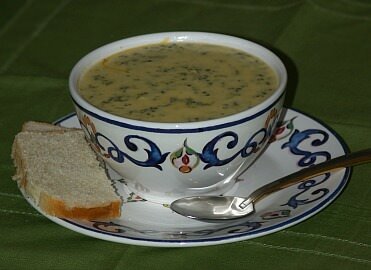 Thin clear soups were devised to precede formal dinners to curb the appetite. They have come into common use only with the wider extension of luxuries of modern times. Since the purpose is different, these soups will never replace the hearty chowders, stew and soups of substance. 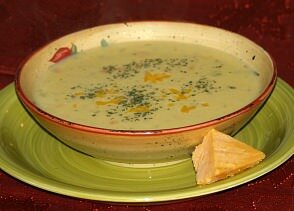 Cold soups like a vichyssoise recipe, are also for the most of us foreign novelties. Such soups like the cold fruit ones are too much like a dessert to win popularity as a soup. 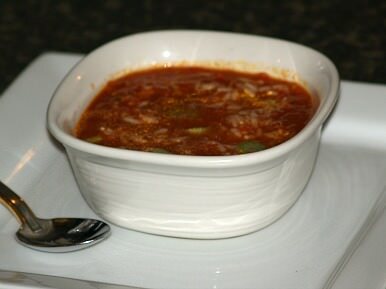 The dry onion soup mix makes a great flavored broth and makes this low calorie soup quick to make. Put all ingredients in a large soup pot; cover with water and bring to a boil. Simmer until all the vegetables are tender. Whether a thick hearty soup or a thin clear soup, each in its own place can make for a beautiful presentation. Use your imagination in selecting serving containers for soup this becomes easier once you know how to make soup. Match the container with the soup. I believe this is going to once again become important. With the return of cooking at home instead of eating out, we will want to enjoy a nice presentation of our food. Nothing is worse than spending time preparing food than to have the family turn their nose up at it. A pretty presentation will make them forget if it is something of which they are not particularly fond. The soup tureen has as much mystique and history as the food itself. 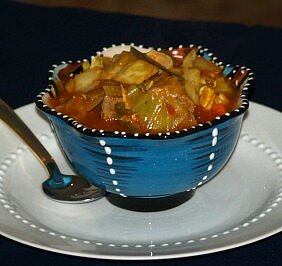 It has always provided an eloquent way of serving soups and stews. We have gotten away from using this item in our modern days. Instead in our fast world, we have mostly chosen to scoop a bowl of soup from the soup pot on the stove. I do believe that our busy life must slow down therefore we will begin to enjoy these luxury items more. 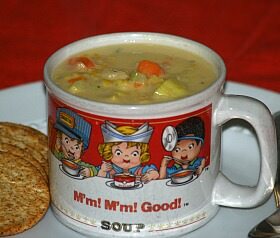 Years ago, people who really knew how to make soup, would fill a soup tureen that was placed on the table for lunch. A homemade loaf of bread was added and maybe some type of bread spread and this was the meal. Whoever did the cooking would sit down with the rest of the family and serve the soup at the table. This was a much better meal environment. 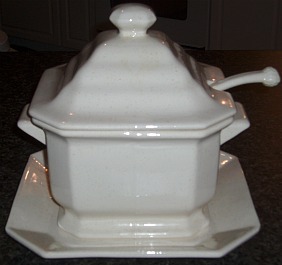 When learning how to make soup, tureens were also very important when serving a buffet. 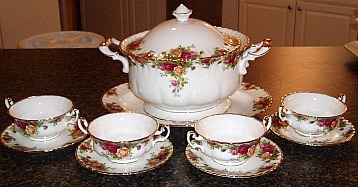 Quite often two or three were placed on a single buffet, each reflecting the contents inside as closely as possible; for instance a lobster bisque might be presented in a tureen with fish either painted or imprinted on the outside. Single containers which usually matched were placed along side of the large soup tureens on the buffets. These beautiful dishes certainly add to the presentation. Many times these beautiful dishes can be purchased at yard sales for only a few dollars because no one is yet interested in using them. To know how to make soup means knowing how to make garnishes to serve it. Garnishes for soups also add to the presentation. Many vegetable garnishes, croutons and nuts are served with soups. For clear soups, try a thin slice of lemon sprinkled with chopped parsley; thin slices of mushrooms, thin slices or slivers of cucumbers, carrots, olives or nuts. Just remember for light soups keep the garnishes light. For heavier soups such as cream of potato and cheese soup garnish with croutons, couple small dumplings, bacon pieces or grated cheese. Heavier soups like some heavier potato soups with meat, lentil soup, pasta fagioli and split pea soup can take heavier garnishes. These are important tips to know when learning how to make soup and the best way of serving them.